It seems like just offering the Ha Ha Cheong Gai burger, alongside the Durian D24 McFlurry, are not enough to rein in the National Day festivities. 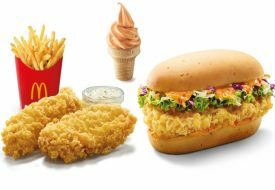 On 9 August, McDonald's will include another locally-inspired food item on the menu: Rendang Sedap Angus Beef Burger. Often sought after for its tender, yet fibrous meat presented cloaked in a spicy sauce, the rendang dish is another perennial favourite of Singaporeans. 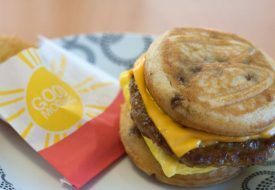 And since McDonald's has a knack for reimagining local delights, the spicy Malay dish is a fitting project to pursue. Perhaps as a nod to this meaty classic, the Rendang Sedap Angus Beef Burger has opted for a patty made of 100% Angus beef that is then slathered on with rendang sauce of coconut milk, ginger, kaffir lime, lemongrass, onion, garlic, and spices. The patty is paired with fried egg and a mix of freshly sliced red onions and grilled caramelised onions, before sandwiched between sesame seed buns. That's not all for the National Day festivities. 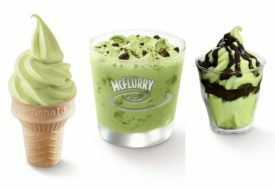 Regardless of whether you love or hate the D24 Durian McFlurry, McDonald's is now offering the ice cream at $3 each islandwide. 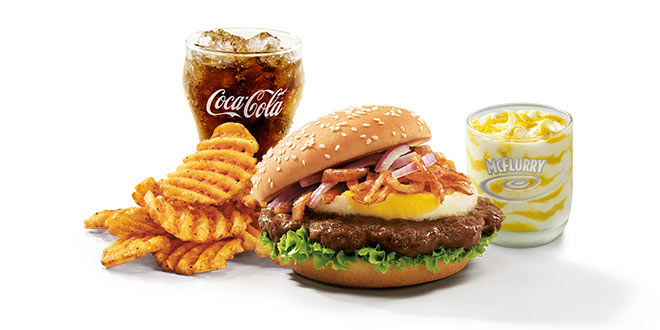 Rendang Sedap Angus Beef Burger and D24 Durian McFluury are available while stocks last.